Before the Soul can see, the Harmony within must be attained, and fleshy eyes rendered blind to all illusion. 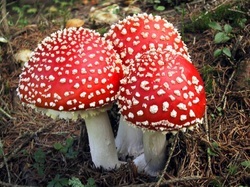 and magic mushroom means earth logos was the god who created them. and one must realize, after they began playing in the fields of the gods, they obviously wouldve become rebels and outlawish banditish and well outcast..from 'edan' which im guessing was their current town or civilization. i benjamin couwenberg know this well as during the eschaton i had to abandon alllll my old friends. only the new ones on the internet were to be around, the ones like me, antithetical awoken and etc. Now lastly you must realize that i am an adam looking for an eve (2014 still single incase i marry), realize u must.... and adam and an eve is an adumbration, at every new time on precipices of ages and so forth creodish epochs there will be an adams and eve's, holding keys to the new. evidence demands the truth i think, why would a god get angry for a human eating..
by the dumbs.. erroneous ego body surface identifieyers. THE LIGHT WITHIN We must cultivate an ever-growing and persistent desire for greater light and for new opportunities to serve others. We must give of ourselves without thought of self but with caring, overflowing love, the agápe so sought after by ancient Greek philosophers and scholars. There is no light to compare with the beauty of the light within when it shines radiantly from one who reveals it. There is no mind so pure as one that is filled with an ever present, living awareness of God Within. No love can heal, care and bless like the love that comes from a heart imbued with the presence of God. These are the rewards of the mystical life that comes to those who have dedicated themselves to the ideals of such a life. Our work and principles are always close to our hearts, and as we strive to fulfil our innermost desire to seek more light, so we also envisage sharing that light with others less fortunate than ourselves. We, who have devoted our thoughts and dedicated ourselves to a search for greater knowledge, sooner or later realise that our teachings are only for the sincere seeker. We must preserve the Order’s teachings in our hearts with the greatest sincerity we are capable of, and never be tempted to share these pearls of wisdom with those who would seek to diminish the Greater Light. This may seem like a paradox to some, for on the one hand, we seek to share the light we have gleaned, and on the other, we must keep it from those who would profane it. This means that we should share it only with those who can make themselves worthy to receive the Greater Light that the Order has to offer, by themselves seeking a true path of preparation and initiation into the mysteries of life.